It's the holiday season, things are a bit slow at the office, and you're sick of looking at the same web videos over and over again. Well, you've been saved! 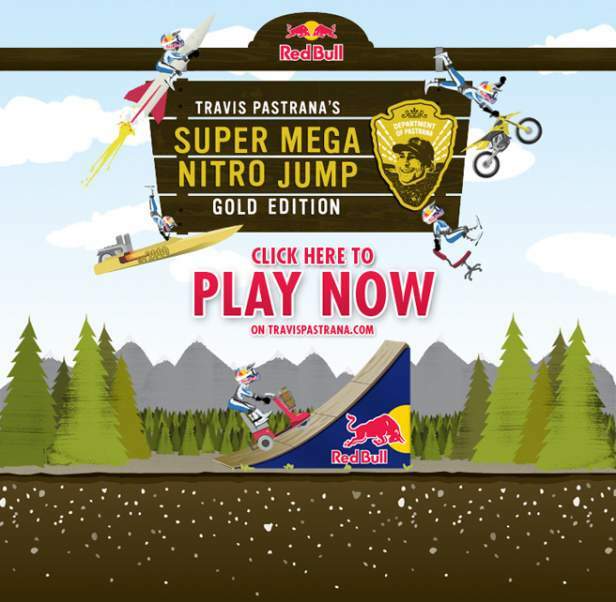 Check out Travis Pastrana's brand-new Super Mega Nitro Jump game! Watch Travis give it a whirl during a break from testing for Red Bull: New Year. No Limits. and see if you can beat his mark of 743 feet.